Why Small Retailers are Turning to Mobile App Development - The advent of mobile app development companies, small business have rocketed their sales and growth with the help of introducing their own mobile app for users. 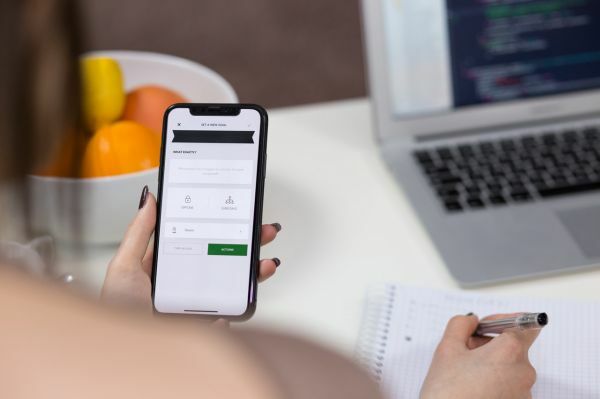 The advent of mobile app development companies, small business have rocketed their sales and growth with the help of introducing their own mobile app for users. There are 42% of small businesses that currently have a mobile app. And about one-quarter of small businesses i.e. somewhere around 23% say that they plan to develop one by the end of 2018. This totally rings a bell as invitation and power of mobile apps even for small business. The alarming increase of mobile apps in business has resulted in enterprises to rush to mobile app development companies. Mobile apps have the power to boost the business brand, visibility, users, employee efficiency and more. An app alone can do so much that used to require employee intervention and planning. Apart from the above-mentioned benefits, mobile apps are a boon to small business specifically. While for big players, it's not hard to attract users, but for small businesses, they need to work super hard in order to gain users attention to their brand. More and more small businesses are inclining towards getting a mobile app developed for their business. Are they going in the right direction? Can a mobile app help their business grow? Why should a small business get an app developed? And most importantly, how can they find a reliable mobile app development company in the market. Let's find more. Every business -big or small do have their own web app that provides all the information about the business, offerings, products, services, clientele list and more. However, it takes effort and time to visit the internet and search for the business. It's only available when the users badly need it. At times, when are not in the internet vicinity or not available with the platform to look at the business website, it's the mobile app that comes to the rescue. By having a mobile app, customers can freely visit the small business site without any fuss. A mobile device is something that is always available with a user’s and simply by installing the app on their mobile, they can go through the app and buy services or gain information easily. An app connects with users 24/7 and offers them with support, services, help easily. It's very important to know the target audience before any business tries to sell their offerings. Any pitch to the wrong audience would only lead to waste in time, money and efforts. It's best if you know your audience, their needs, their requirements, behavior before offering the services. Mobile apps enable small businesses to segregate the target audience by going through the users’ data available with the business. This way businesses can easily plan and approach to its target offering them exactly what they need. In the age of digital, it’s all about connecting with users digitally. Gone are the days of face to face interaction. Users today achieve everything through the digital window. And with the growing use of social media platforms, businesses meet customers on these platforms and sell their services online. You can also integrate your mobile application to various social media plugins, so that customers can directly reach out to your social media pages. Make sure your software development company integrate the plugins to help you achieve your social media goals. Going the same with small business, there is huge opportunity lying in front that acts as direct contact with users. Small business can take advantage of social media power and build their clientele. They can easily target a niche market as well as they are the one that is hard to gain. Users today look for personalized services. It is so because there's no guarantee that one requirement would fulfill every user's need. Big players realized the potential of personalized services and are gaining profits by providing users exactly what they want. This has encouraged users to be loyal to companies. For small businesses, it's a great opportunity to gain customers. They can do market research, conduct survey, take feedback and apparently develop solutions that meet users demand. This push users to come to companies who entertain their individual needs and fulfills them. This is not the time of one-way feedback sharing. Feedbacks, experience sharing, suggestions all are welcome by all businesses. This enables enterprises to connect with their user directly and understand their current situation and demands. Accordingly, businesses work on the situation and offer solutions to users. Likewise, for small businesses, two-way feedback supports them with mutual understanding between the company and the customer. A customer can give feedback, suggestions etc. and small business can work on those to meet the customer demands. In fact, people rely on the small company since they respond to users demand then and there and personally entertain every user. Wrapping up, small businesses have their own share of users and market space. If they plan smartly according to the latest market situations, they are sure to gain both users trust and profits in the long run. The mobile app pushes small business to expand their horizons and be more available to users. Users too trust those brands that readily entertain their requirements and fulfills them. In the future, there is going to be no business, small or big without a mobile app. Finoit is a leading custom software development company which turns ideas into reality by providing unique web design and mobile app development services.